Spay and neutering play a big role in helping dogs and cats grow up healthy. It helps to prevent various physical and behavioral issues and keeps the animal population under control. Millions of animals are surrendered to crowded shelters every year, and not all of them find homes. Therefore, in addition to keeping your pet healthy, we are also dedicated to helping homeless animals throughout Nora and surrounding areas with our spay and neuter services. Pets that remain ‘intact’ are more likely to develop tumors later in life. Furthermore, these tumors can potentially be malignant. Eliminating this risk can increase your pet’s lifespan and spare them from a serious illness. The ideal timeframe for spaying and neutering dogs and cats is 5-6 months of age. For females, it is best to have them spayed before their first heat cycle. Spaying a female after they have gone into heat may increase health risks during surgery. If you recently adopted a puppy or kitten, be sure to start thinking about their spay or neuter and what questions you can ask our team. 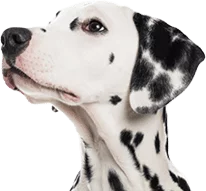 We want you to be as informed as possible about every service we provide for your pet. Pets that have been spayed or neutered are only at risk of gaining weight if their diet is unhealthy and their activity decreases. Take your dog on walks at least once a day, and try to play with your cat for at least 20 minutes every day. Physical activity and mental stimulation are essential to your pet’s wellbeing, so be sure to give them the quality time they need. For more information about spaying and neutering or to request an appointment, please contact us at (317) 257-5656 or click the button at the bottom of the page. Your pet’s health and development are very important to us and we want to help you make the best decisions about their care.